As you can see, things are beginning to break loose now. They will continue to pick up steam and, as we have told you for quite some time, will become quick enough to have you in a state of disbelief. Compassion for those who are cut loose from their moorings is what will be most needed now. Millions have known only what they have been spoon fed all their lives. They have been told that lies are truth and truths were lies. They will be hurt. They will be angry. They will want to vent their anger and frustration. Be there for them. When they have calmed down somewhat, they will have questions. Even then, the wisest course will be to answer the questions and let them proceed at their own pace to the next question. There is no need to lecture or teach. Events will take care of that soon enough. Very quickly millions of doubters will become seekers. At this time, while things are still in the simmering stage, continue to seek yourselves. Ah… we like that. Continue to seek your Selves. You will need that connection as never before, but also, you have never had so great an opportunity to create that connection. If you still do not have a regular daily practice of meditation, we urge you to establish one. Learn to center yourself. Learn to ground yourself. Learn to spend time in your heartspace. Find your Source, your Creator, your I AM. You need no one else to do that, dear friends. You need only your own sincere intent and effort. We promise you that you will be met with open arms long before you get halfway. Find the peace in which your true heart resides. It will be important to you. Seek the possible best outcome in every new turn of events now and watch as your prayers come to fruition. 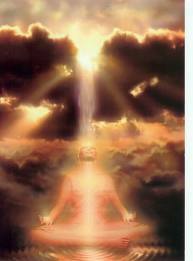 In the unconditional love and light of Source, we bid you good day.